Advent begins on Sunday, December 2nd, so we also look forward to the gift of Advent with Joanne and Mary. They share ideas on how to live an intentional, purposeful Advent. Rachel Brown also stops by and shares practical wisdom in her Drop by Drop segment. 1:49: How Lisa’s scheduling gaffe can serve as a good reminder for the coming Advent season. 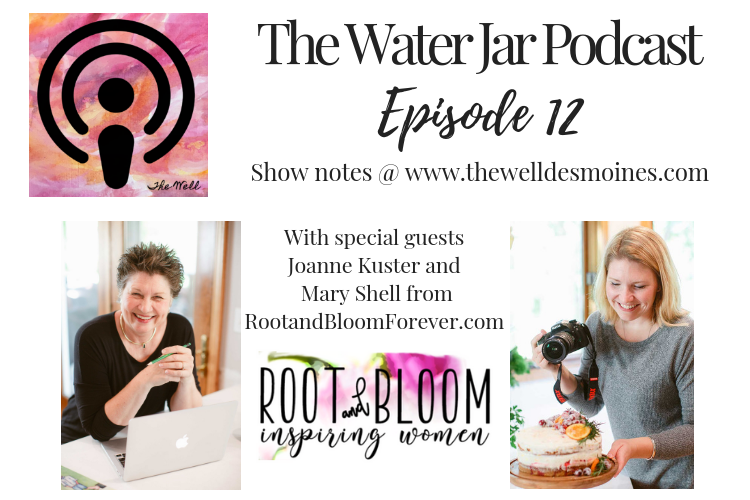 5:04: Part 1 with Joanne and Mary from the Root and Bloom Forever blog: Family, Food & Finances! The Advent/Christmas booklist Lisa mentioned can be found here. This entry was posted in Advent, Podcast and tagged Advent, Joanne Kuster, Lisa Schmidt, Mary Shell, Rachel Brown, Root and Bloom Forever, The Water Jar. Bookmark the permalink.